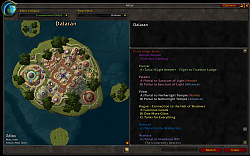 Click here to lend your support to: Atlas - World of Warcraft Addon and make a donation at pledgie.com ! This is an Atlas plug-in that display transportation' maps. You can browse the transportation nodes in each of the continent. In the past this plug-in was built-in with Atlas' core release. And right now we are splitting it out to be an individual addon so that you can decide whether to download it or not. Note that in order to make this addon to work properly, you will still need to have a latest Atlas downloaded and installed. Atlas is released under the GNU General Public License (GPL). 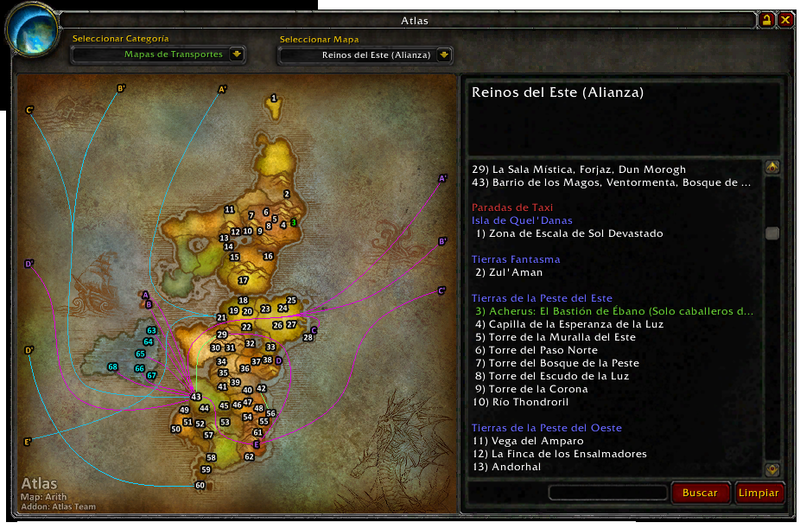 - Blasted Lands portals have been changed to Hellfire Peninsula Portals. Getting the following error upon logging in after the 7.3.5 update. ERR_OUT_OF_CHI = "Not enough chi"
DH_HAVOC_CORE_ABILITY_2 = "Strong melee attack that consumes Fury. If it critical strikes, some Fury is refunded." UNIT_NAMES_COMBATLOG_TOOLTIP = "Color unit names." SPELL_FAILED_CUSTOM_ERROR_71 = "This partygoer wants to dance with you." Inst116Quest2_HORDE = "2. Trouble Brewing"
Inst39Quest10_HORDE_Aim = "Caza'rez inside the Shattered Halls of Hellfire Citadel wants you to kill 4 Shattered Hand Legionnaires, 2 Shattered Hand Centurions, and 2 Shattered Hand Champions. " 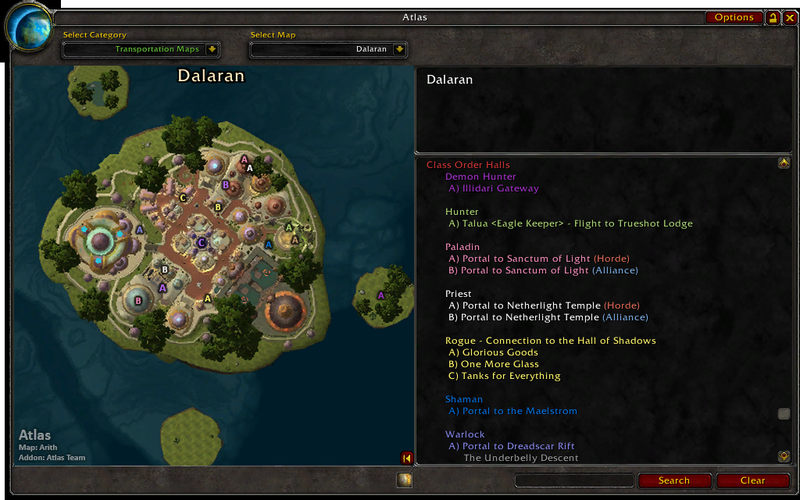 Inst70Quest1_HORDE_Location = "Dark Ranger Marrah (Utgarde Keep; Entrance)"
Inst55Quest6 = "6. Wanted: A Warp Splinter Clipping (Heroic Daily)"
BINDING_NAME_NAMEPLATES = "Show Enemy Name Plates"
CALENDAR_RAID_RESET_DESCRIPTION = "%1$s resets at %2$s." BOOST2_WARRIOR_COLOSSUSSMASH = "Use Colossus Smash. Colossus Smash increases your damage." Inst153Quest2Rewardtext_HORDE = " Reward: "
Inst91Quest1_HORDE_Prequest = "Echoes of Tortured Souls (Forge of Souls)"
Inst51Quest4_HORDE_Note = "This daily quest can only be completed on Heroic difficulty. Epoch Hunter is at ." Inst27Quest3 = "3. Breaking and Entering"
Inst146Quest3_HORDE_Location = "Lilian Voss (Garrison - Lunarfall Inn or Frostwall Tavern)"
You have just downloaded by the author . If you like this AddOn why not consider supporting the author? This author has set up a donation account. Donations ensure that authors can continue to develop useful tools for everyone.